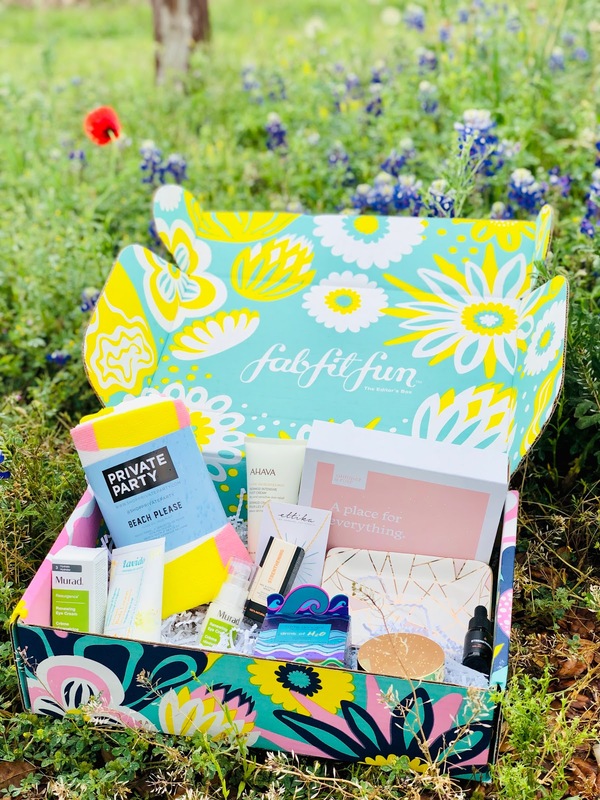 I kept seeing photos on social media of the FabFitFun box and was always intrigued. It seemed like it was always stuffed with fabulous goodies. Plus, so many of my favorite reality stars had them--yup, I watch reality shows much to the chagrin of my husband. So I was excited when I was told I would be sent the Spring Editor's box. I told Tom, "Hey, Melissa from Real Housewives of New Jersey got one, too," and he was all, "Who?" And just like I had seen in past photos, it was full of amazing products. The value ranges from $238-$340 and yes, you get full size items, which I love. (I had a photoshoot with the box at Wildseed Farms in Fredericksburg, Texas. I might have even got a lady excited about the box. She was all, "What's all this?" and I told her it was a FabFitFun box. She either was intrigued or confused. Maybe a mixture of both. 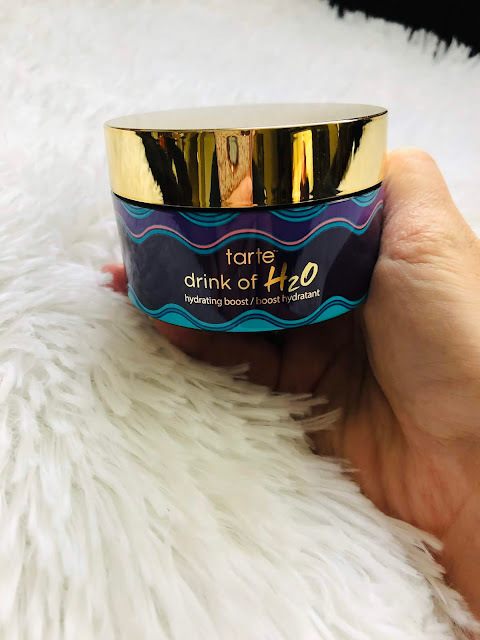 tarte Rainforest of the Sea drink of H20 Hydrating Boost. It soothes my skin, which is needed thanks to the harsh winter. 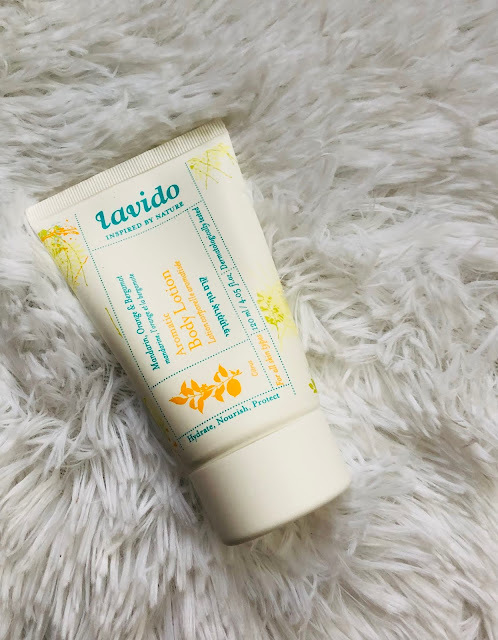 There was also Lavido Aromatic Body Lotion which again, smelled incredible. My husband was like, "You smell like a fruit tree!" This Summer & Rose Celine Trinket Dish is gorgeous. So gorgeous, that my daughter took it. Rude. 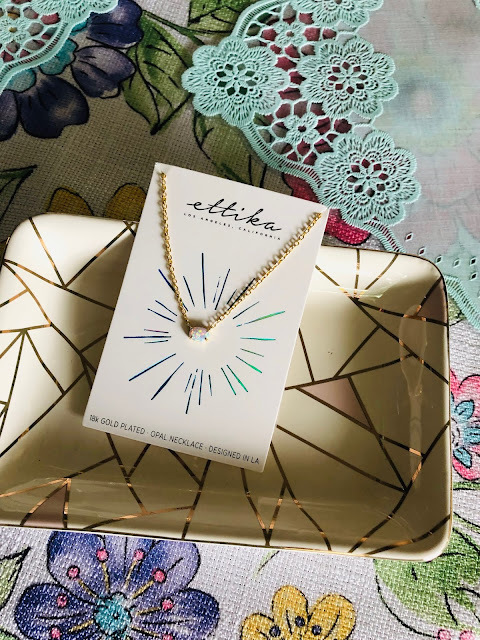 It's perfect to hold this Opal Rose Necklace from Ettika. Again, my daughter took it. She absolutely LOVED the box so it excites tweens, if you're looking for a gift idea. 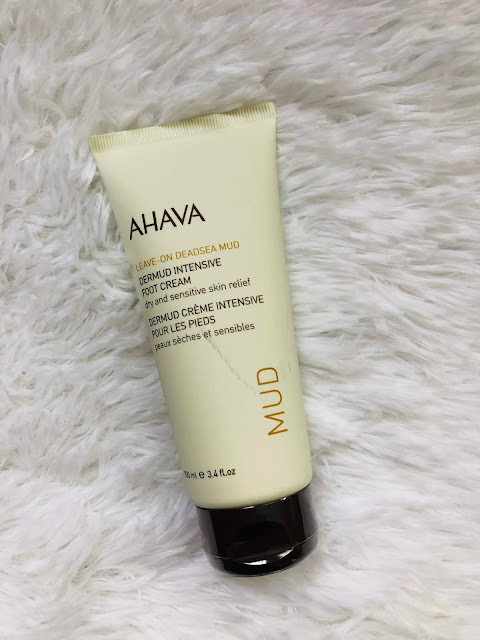 I won't lie, my feet look gross and cracked at the moment, but this AHAVA Dermud Intensive Foot Cream has been helping. 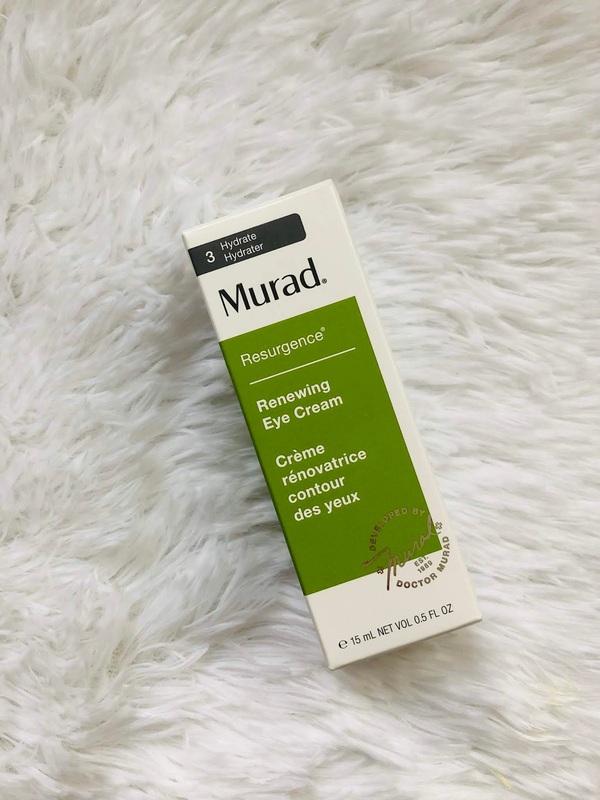 I have dark circles under my eyes, and I've been noticing lines (ugh), so I've been applying this Murad Renewing Eye Cream nightly. It does seem like the lines have been fading. 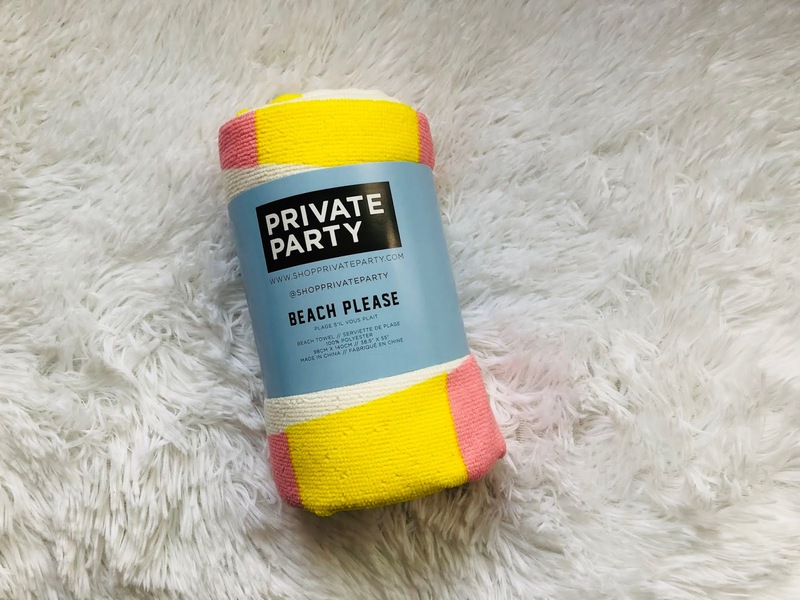 This Beach Please towel is colorful and gorgeous. Perfect for the summer. We're at the pool a ton, plus we'll be going to the beach! I don't think you'll be surprised to know that my daughter has claimed this too. 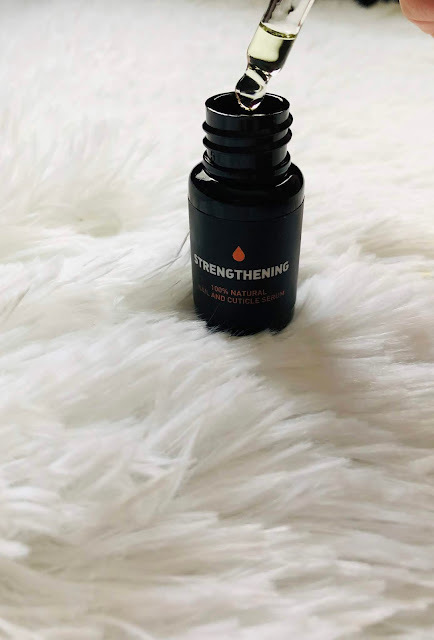 Finally, this Way Of Will Strengthening Nail & Cuticle Serum has been feeling relaxing. As I mentioned before, I have dry skin, so I've been enjoying this. 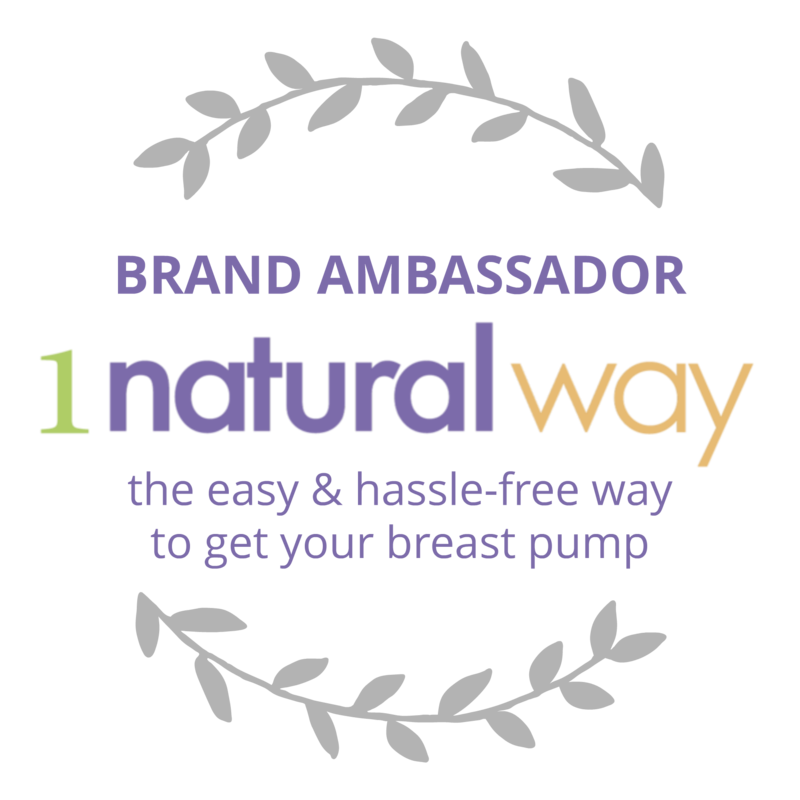 Use code AMBER40 to receive 40% off your first one! Let me know if you order one so I can be sure to check out YOUR box when you do an unboxing. What was your favorite item in this FabFitFun box? 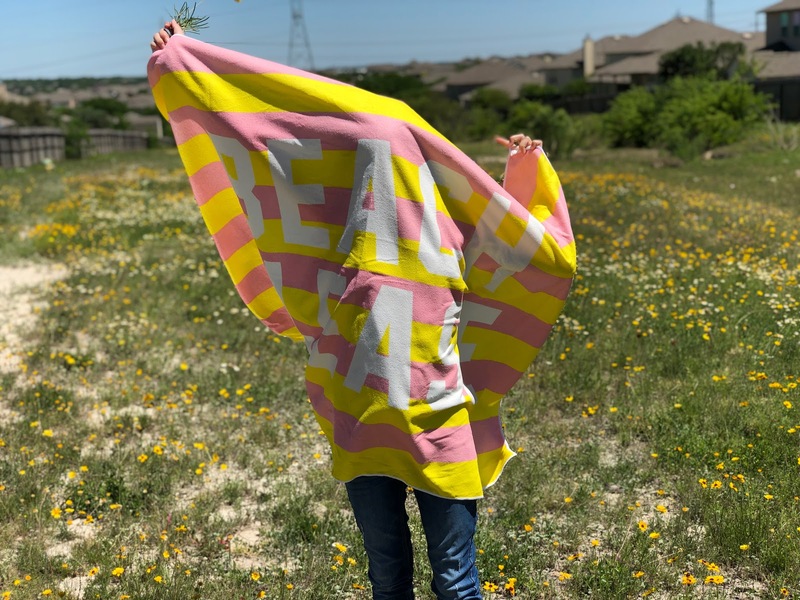 To learn more about FabFitFun you can check them out at the following: the FabFitFun website, Facebook, Twitter, Instagram, and Pinterest. Happy for you on having your turn then for this haha! Looks like its a match. A win-win find. I think this box is definitely one of my favorites, I like how you can receive products every month to keep yourself healthy and beautiful! I received the winter box and loved it. The spring box is even better. I love the fact that you receive full size products and not just sample sizes. Full size items is really nice. Those little trial bottles just don't cut it at all. Will have to check into this box. 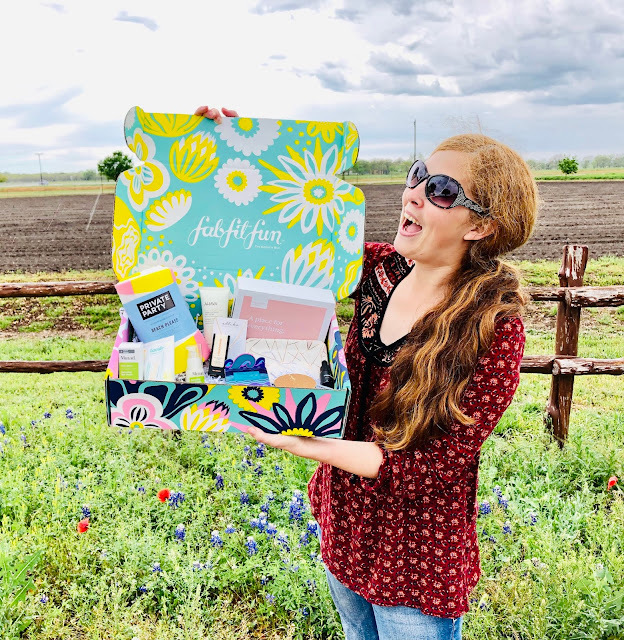 i had the spring box and LOVED it although you got a few more different things then me but that makes it so fun- they are such great products too! I have always wanted to try one of these boxes. My daughter would steal all of it too. I love Ahava! I've never tried doing on this subscription boxes, but it looks like it would be a lot of fun to do. So many interesting things that maybe would not have bought in the store without something like this. That is awesome you enjoyed your first FitFab Box! I keep seeing these boxes all over the place and wonder if I should order for myself. These boxes always look absolutely incredible! They always seem to hold some really interesting items which are of great value. It's one box I wish we got over here. This looks like an amazing box. I love the beach towel as they colors are perfect. 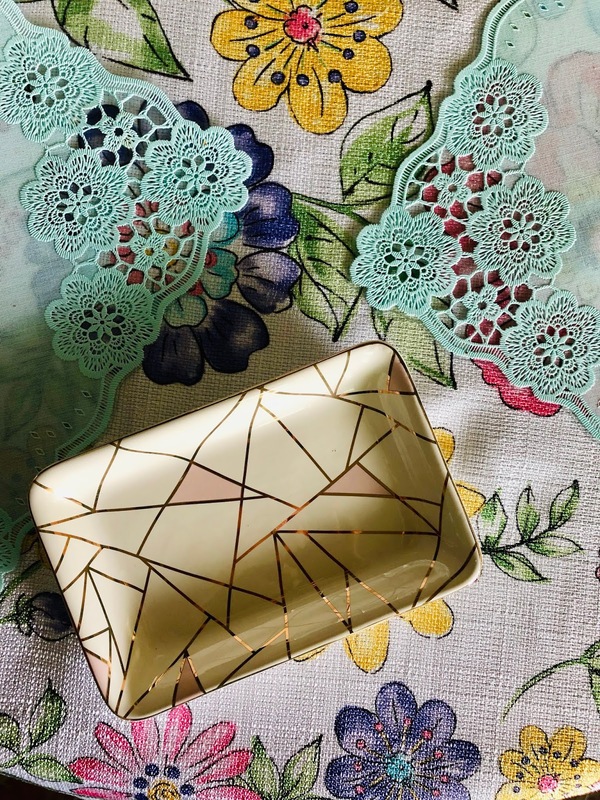 What a fabulous collection of beautiful products for spring and summer! I love, love that pretty beach towel. I would literally be jumping for joy when my special shipment arrived. Love that they include the Tarte product, I have been interested in trying the Fab Fit Fun box! Well I must say I'm a little jealous! I want some of these awesome products! WOW! 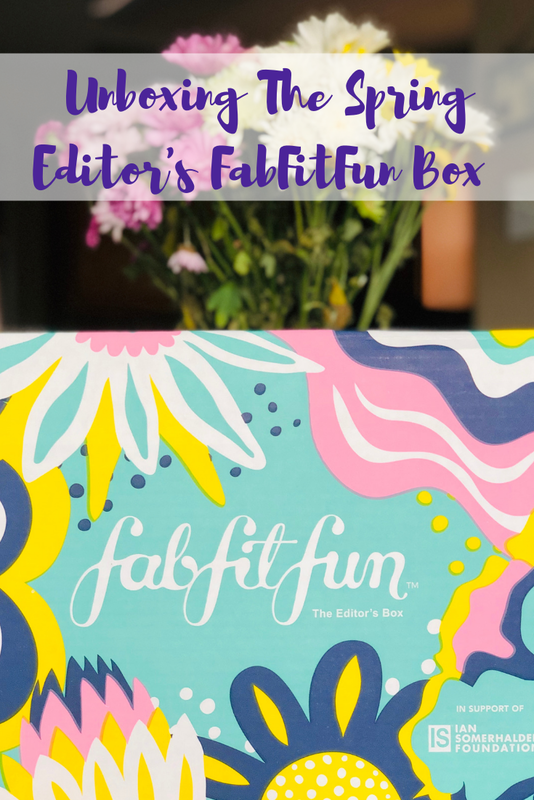 Your FabFitFun box was full of some awesome items. I love that Opal Rose Necklace from Ettika. Never heard of the company before so I will have to check out the website. It looks like you had a lot of great items in your box. I really like that trinket dish. I really love this box. You got so many awesome goodies! That hydrating boost sounds amazing!! I have to look into trying this box. It has so many amazing items included. My daughter and I share this box but we are going to have to start to get our own. She took almost everything this time! I'm a part of FabFitFun as well! The Spring Box has probably been my favourite so far - I can't wait to try everything out! Wow! That box of goodies sure looks fabulous. The drink of H2O looks absolutely supreme and dreamy. Your husband has great chat up lines, you smell like a fruit tree, Lol! This has been a really wonderful post. Thank you for providing these details. 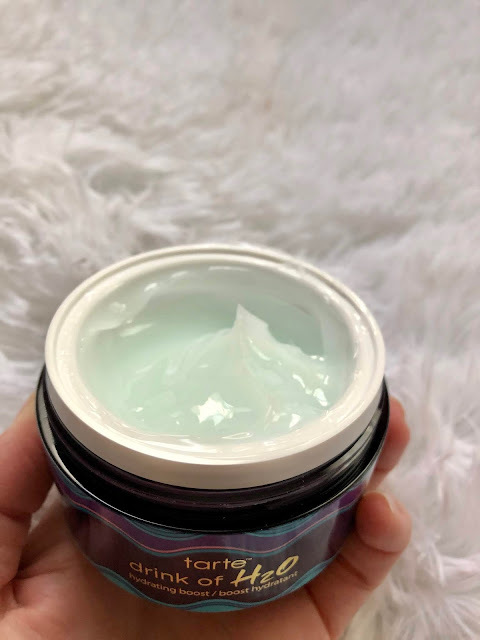 This is so exciting to see all those awesome products to try. The Murad Renewing Eye Cream sounds really perfect for me. I love that opal rose necklace. 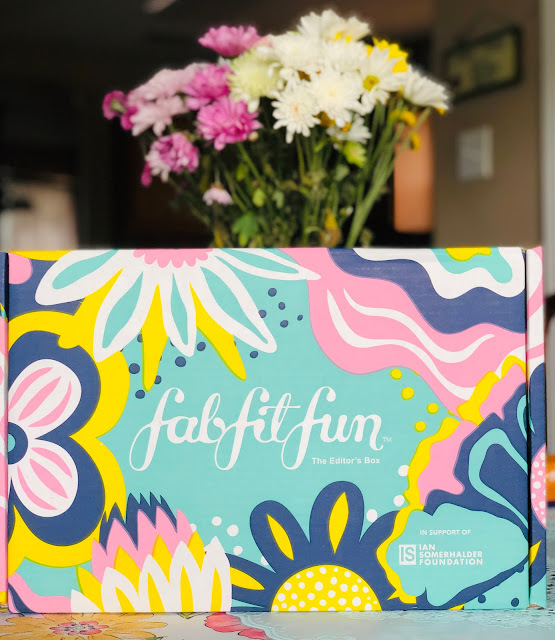 I have never tried subscribing from fabfitfun but I think I'll check it out. This looks like a great box. I like that the products in it vary so much and you get a selection of things, and not just make-up for example. Wow. That's a box full of treasure. Ha! All the products look great! I have seen these popping up every where! I should get one! I have used some of the Murad face products. They are really good. I hope the eye cream keeps working out. That box sounds like a fun one fore sure. I would love to get a subscription! These boxes are a pocketful of sunshine. Very colourful bright vibrant and everything with good vibes. Hahaha I bet my partner would have said the same thing too. "Melissa who?" lol. But yes, I'm yet to try this subscription box. You received a lot of great items. Tarte for example! This looks like a great box full of goodies. I would like this a lot and these items are great! That looks like a beautiful box! Plus the products are pretty great as well. This is going to be a perfect gift box. I have wondered about this box for so long., I love that you get full size products! These all look like such a lot of fun in the box. I love the beach towel. But I also think the one for wrinkles I would be curious about. This looks like an amazing box! Thanks for sharing! I've seen these boxes popping up everywhere but didn't realize there was so much cool stuff inside them. And that beach towel! I love it!